The job of the fundraiser is to solicit financial support for an organisation, often an NGO or charity, through the use of various funding drives, promotional events, direct appeals, and other means. In this job, the popular phrase: "money makes the world go round" applies more directly than in most others. This is particularly true for charity organisations, which rely heavily on donations to fund their work, and do not seek to make a profit. Fundraisers are of paramount importance in such organisations, ensuring that there is a reliable stream of money coming in to enable their work to continue. Many fundraisers specialise in targeting certain groups of potential backers or donors, such as corporations or companies, wealthy or high profile individuals (such as celebrities), or a community at large. By developing and maintaining a network of contacts and making sure the organisation in question is prominent in the public eye, fundraisers help to keep many such organisations afloat. 3 new job listings for this search have been found in the last calendar day, compared with 14 in the last 72 hours and 18 in the last week. The largest category under which open Fundraiser jobs are listed is Other/General Jobs, followed by PR, Advertising & Marketing Jobs. There are 96 Fundraiser job opportunities in South Africa available immediately, compared to 44 in Gauteng. 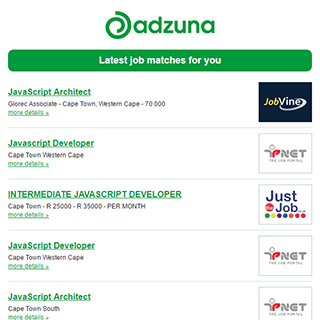 Companies presently offering Fundraiser job opportunities in South Africa include University of Stellenbosch, The Chevrah Kadisha, University of Pretoria..
Get the latest Fundraiser Jobs in South Africa delivered straight to your inbox!